Made me grin first thing on a rather achy morning before caffeine. 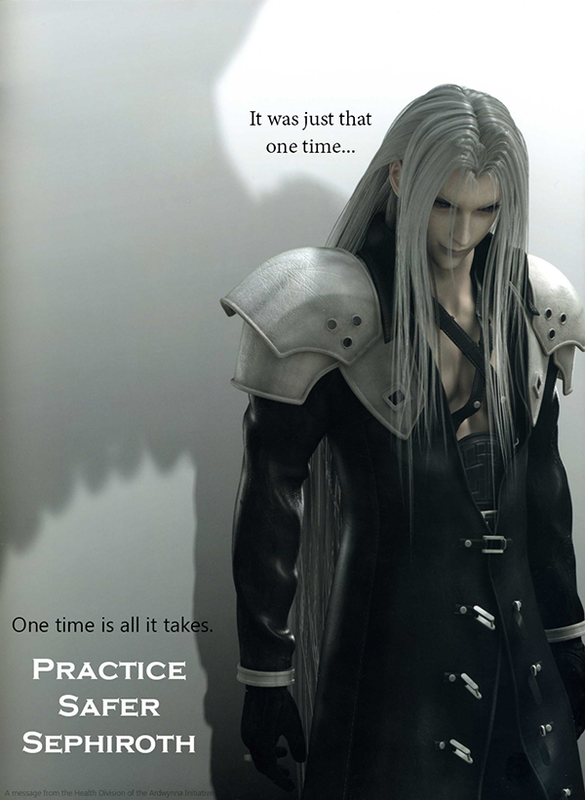 Of course, now I'm wondering how one *would* practice safer Sephiroth (and whether this would absolutely require the multiple wings and lack of legs, 'cause really, it's a bit hard to find jackets to fit that particular form). I suppose it requires a good look under the wings and things to see exactly what we might be dealing with. Hmm, true. This may require setting up camp for prolonged observation. But there should be one heck of a nature documentary for the trouble. ...will the documentary be narrated by Morgan Freeman?